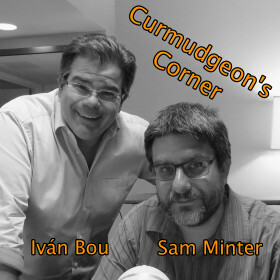 This week on Curmudgeon’s Corner Sam and Ivan try to do an all lightning round show, but fail spectacularly. Their first segment is… movies!! Both Sam and Ivan talk about their thoughts on some movies they have seen recently. Then they do a segment on the Cohen raid and all the implications that arise from that. Then a mini-segment on Syria… recorded before the US/UK/France airstrikes… then FINALLY they do an actual lightning round to finish things up, including brief discussions on Scooter Libby, Zuckerberg’s testimony, international corruption, an update on tariffs, and much much more! What good will a strike do? Sam: Changing approach to Russia? Sam: Did China blink on tariffs?